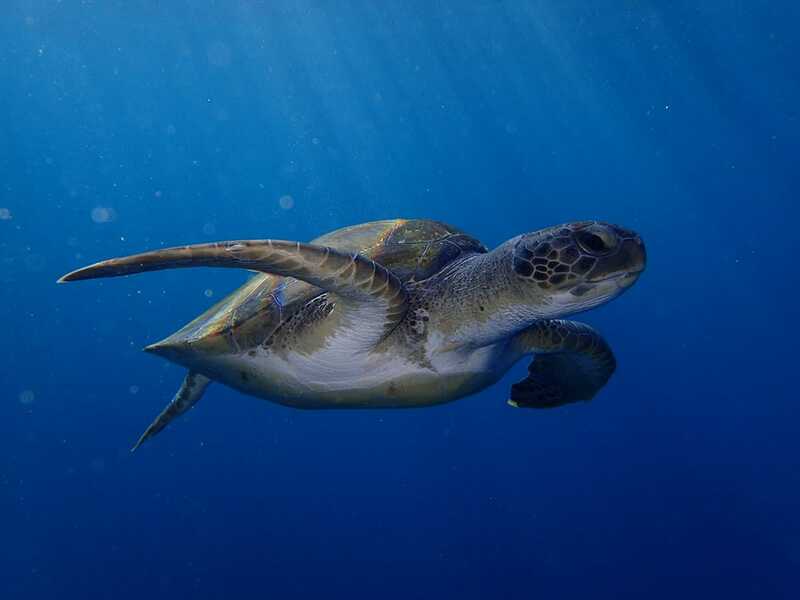 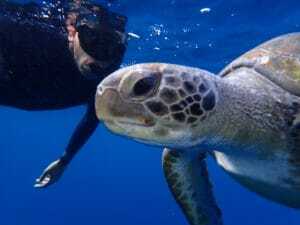 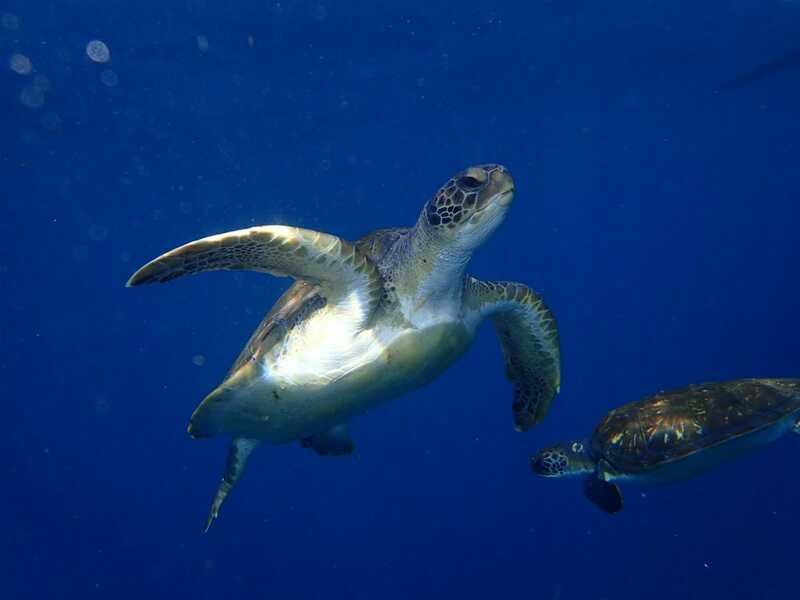 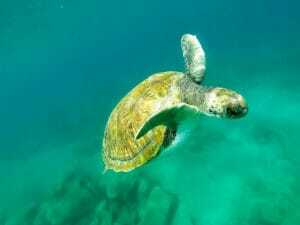 The Southwest coast of Tenerife has always been a natural home for a variety of marine species, especially for sea turtles. In the past, many beaches like El Puertito de Adeje gave people the chance to reach these wonderful animals right after a short swim from the shore. 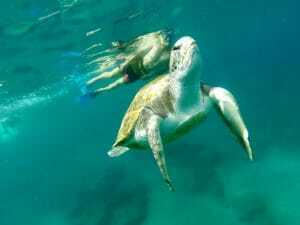 Snorkeling with turtles was a really easy and achievable experience. 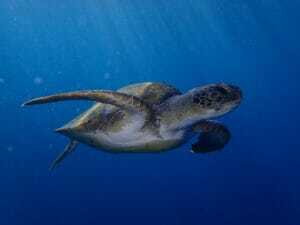 However, as this put their life in danger, turtles have been taken to safe zones. 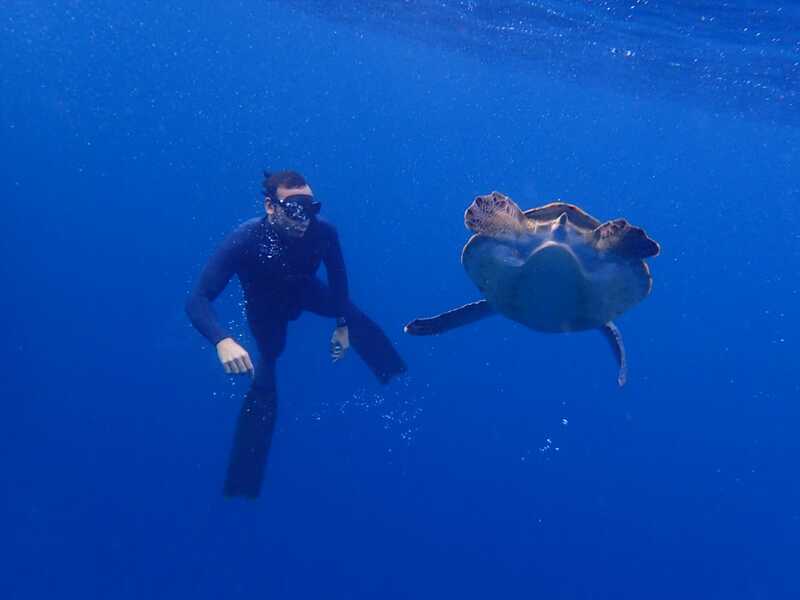 Today, the only one way to have a close encounter with them is an adventure boat trip. 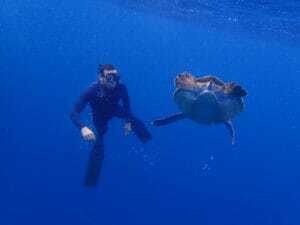 Our professional marine biologist and freediving instructor will take you directly to the green turtles habitat, and will give you the special opportunity to swim with them. To make the most of your experience, you will be also taught how to interact with them in safe and respectful conditions, in order not to make them get away and swim close to you.